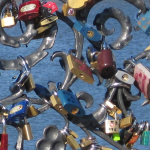 Locality is launching a new feature on the MyCommunity blog. ‘Community of the Week’ will highlight a community that’s doing inspirational, innovative and awe inspiring stuff in their local neighbourhoods. There is still time to get involved in The Big Lunch! The success of The Big Lunch, the UK’s annual get-together for neighbours from the Eden Project, has been reported widely since 2009. But what might be news to you is that there’s an exciting follow on project, called Big Lunch Extras. It’s a free programme to help people run good local projects – like community food groups, shared gardens, green routes in cities, sewing clubs and energy cooperatives – anything that will bring about positive change in their community. It starts with a free three-day residential ‘camp’ at the Eden Project, with inspirational speakers, workshops, tours and the chance to network with other people on the programme. There are just two camps, one in May and one in July, to book your place on, so don’t hang about! In this guest post Emma Smith describes how people around the country are finding that organising a Big Lunch ends up helping them get other things going in their community too. The Big Lunch is the UK’s annual get-together for neighbours, an idea from the Eden Project made possible by The Big Lottery Fund. The event is becoming part of the annual calendar for communities across the UK. The first Sunday each June is Big Lunch day – Sunday June 7th June 2015. Big Lunch events can be big or small and they don’t need to cost much when everyone brings something to the table. There is also a free resource to help communities get started – The Big Lunch pack – available at www.thebiglunch.com or by calling 0845 850 8181. It contains posters, invitations, stickers, speedy salad seeds and lots of tips and extra info. 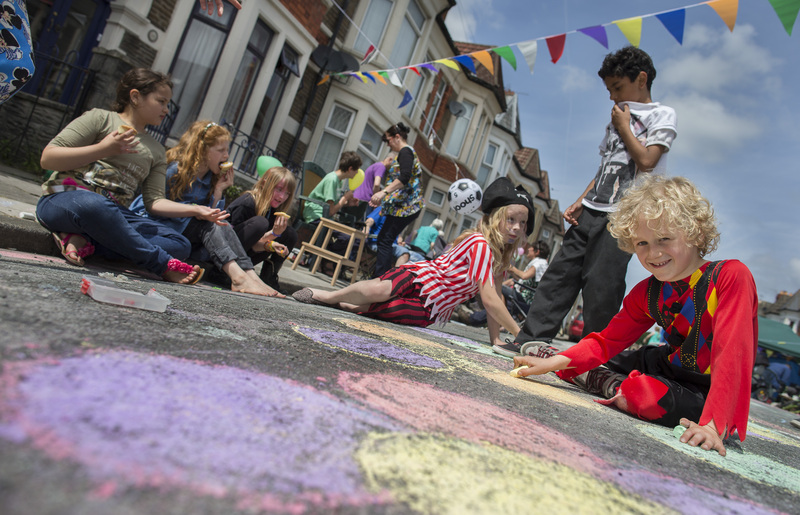 Over the past six years Big Lunches of all sizes have happened in all kinds of communities, in streets, back gardens, parks and community venues. Thousands of events have taken place each year, with a whopping 4.83 million people taking part in 2014. As Lara explains, “I think it just took a couple of us to take the initiative and get the ball rolling. Post Big Lunch 2014 research (carried out by Havas UK) demonstrated the positive impact Big Lunch events are having across the UK. 86% of those that took part said they felt closer to their neighbours afterwards, with 8 out of 10 people having kept in touch with people they met at Big Lunches in previous years. It’s not just the day itself but what can happen after that really makes a difference too, with 64% of Big Lunch 2014 participants saying they went on to do more in their community following Big Lunch events in previous years. Onkar from London is one example. He wanted to get more involved in his community and to help support the local allotment which he could see from his bedroom. He held his first Big Lunch in 2013 which was an amazing success, with many residents visiting the allotments for the first time. Generosity from the community and local business’ was overwhelming and it raised awareness of the fantastic allotment association in Northolt. Onkar is now planning to set up ‘grow your own’ classes and has recently taken part in Big Lunch Extras program at the Eden Project to help community spirit grow even further. And Jo, from a fairly established, yet under -funded rural village near Belfast, helped organise her villages Big Jubilee Lunch in 2012. 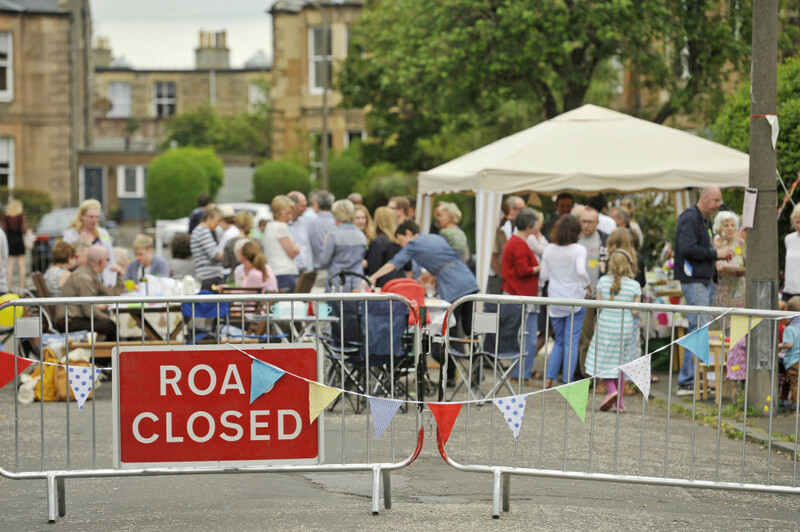 With many hidden social issues, Jo found that The Big Lunch was a great way to bring people of all ages together and help connect the many different local membership groups. Since their first Big Lunch, Jo has continued to promote community interactions, and has gone on to do lots of innovative things to support local young people including converting a garage into a drop in centre for local youths who had nowhere else to go. 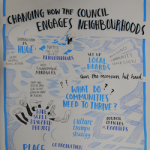 The act of spending a few hours with those we live beside is helping to encourage communities to go on to do much more, become more sustainable and to celebrating local living and sharing – from ideas and conversation to skills and resources. Those who would like to boost community spirit in their area can get involved by registering for a free planning pack at www.thebiglunch.com or calling 0845 850 8181. Emma Smith is part of The Big Lunch team. After 30 years of neglect and failed regeneration plans, the few remaining residents of the Granby Four Streets (in Toxteth, Liverpool) have taken the future of their neighbourhood into their own hands: they’ve established a community land trust, taken ownership of the derelict properties from the council, and will have the first 10 homes refurbished by March.